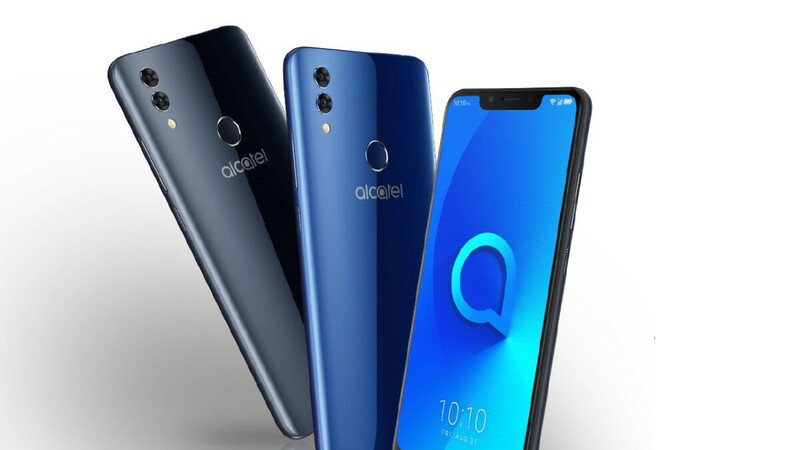 So far in 2018, Alcatel has launched a pretty varied range of smartphones including the budget Alcatel 1 series, the low-cost Alcatel 3 line, and the mid-range Alcatel 5. But today, the company is back with yet another offering in the form of the Alcatel 5V. Overall, the smartphone adopts most of the recent design trends that have been seen in the smartphone industry. This means a 6.2-inch display complete with a notch up top and a rather thick chin down below is present. Moreover, aiming to take on Motorola’s budget offerings, this particular Alcatel offering boasts a glass build on the rear. Speaking of which, there is also a circular fingerprint scanner towards the center of the panel. In regards to the camera setup, two sensors are featured in the top corner along with a dual-tone LED flash. The main imagery sensor boasts a resolution of 12-megapixel while the secondary camera offers just a 2-megapixel resolution, although the latter is solely featured in order to provide improvements to bokeh shots. As an added note, an 8-megapixel selfie sensor is included within the front notch. Taking a peek at the internals, the Alcatel 5V ships with the MediaTek Helio P22 (MT6762) and is coupled with both 3GB of RAM and 32GB of internal storage, although the latter is expandable via a microSD slot. On the software side of things, users will gain access to Android 8.1 Oreo straight out of the box, and all of this is backed up by a pretty big 4,000mAh battery. Also, on an added note, a 3.5mm headphone jack is present. For those interested in the Alcatel 5V, the smartphone will go on sale later this month for $199.99 in an unknown number of select markets, although the US will presumably be on the list. That's not a bad phone, besides the notch. And that mediatek processor. It will stay with Oreo till the doomsday. I stopped reading when I saw mediatek but the article mentioned it at the end. I had the Xperia XA1 with P20 for a little while and that thing had some sweet performance + darn good battery life (despite of a 2700mah and huge screen). As long as Alcatel doesn't screw up on the software side, this thing is gonna be great. Hope the cameras are decent as well. agree. I have the Sony XA1 Ultra. 2700mah but has no problem with battery, amazing. People just assume Mtk is all bad.